The Amharic Project: Enqutatash—እንቍጣጣሽ—Happy New Year! For the expression below, Lulit wrote that "this is something we say for the new year," but I'm not sure how it translates exactly. Maybe something like "Welcome to the New Year!" I tried the first greeting a couple of times today when Suzanne, Anemo, and I went back to Oakland, and I think I was understood. We drove back to Eastshore Park and found the Ethiopian hut (gojo bayt) completed and an art exhibit installed inside. According to the gallery notes, each piece displayed was inspired by a story of an Ethiopian or Eritrean taxi driver. "We believe taxi drivers represent not just East African immigrant stories, but the immigrant story more broadly: stories of displacement and reimagining, the personal acts of creation and re-creation that every human does with the questions of where you came from and where you're going." Another clever use of Amharic letters (ፀያሐአ), with the third letter on its side. Anemo looks through a View-Master in the exhibit. Suzanne looks through a different View-Master. We saw a lot of art today, and we even ran into Wosene Worke Kosrof and his wife at Studio Grand, where a big new year's event is being held from 6 PM to midnight. We stayed for some of the spoke word acts, but obviously could not last until the wee hours of Friday morning. As I type, Studio Grand is probably pulsing to the sounds of DJ Eden Hagos, an Eritrean-born, San Diego-based, self-proclaimed beat scenester. 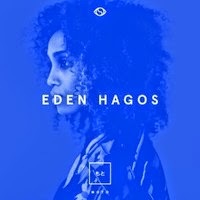 Google image Eden Hagos to see her other CD cover (the one I chose not to paste here). The event promises: "Post happy hour, we will be dancing to classics and modern tunes from home, with plenty of New Years songs to groove to!" I don't know how many New Year's songs there are, but I did learn one when I went to meet Elias Negash recently, a local Ethiopian jazz musician who lives in Oakland. I heard about him from Lulit, and he invited me over to his studio for a lesson. 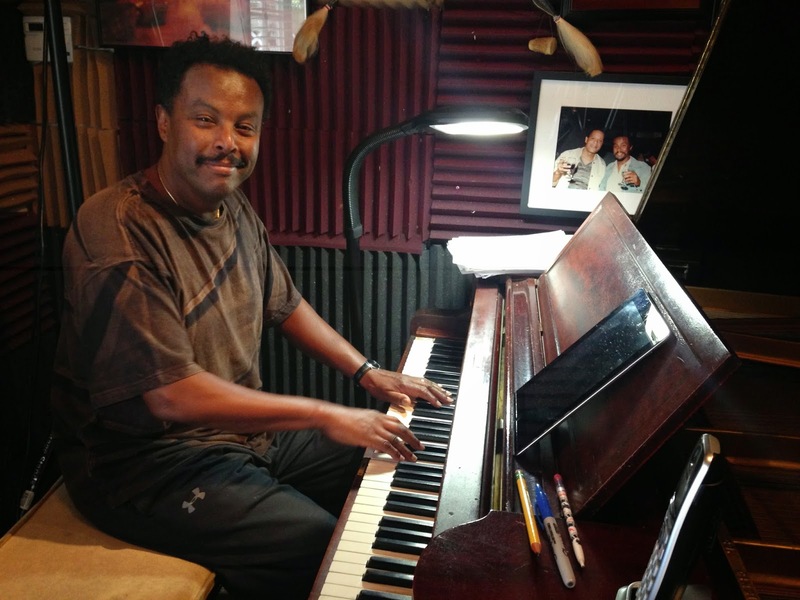 Elias Negash, whose last name means "will be king," in his music studio. Below is a clip of Elias playing the intro and the A section once. Not exactly music to groove to, but there must be a reason why this is such a popular New Year's song (at least for a certain generation). Maybe the lyrics will provide the answer, if I can find them. Meanwhile, I am learning this and a few other songs on my keyboard. Happy 2007! You can see the name Lukas (ሉቃስ) written in the yellow font. Anemo modeling an Ethiopian scarf on Oakland's Grand Avenue. 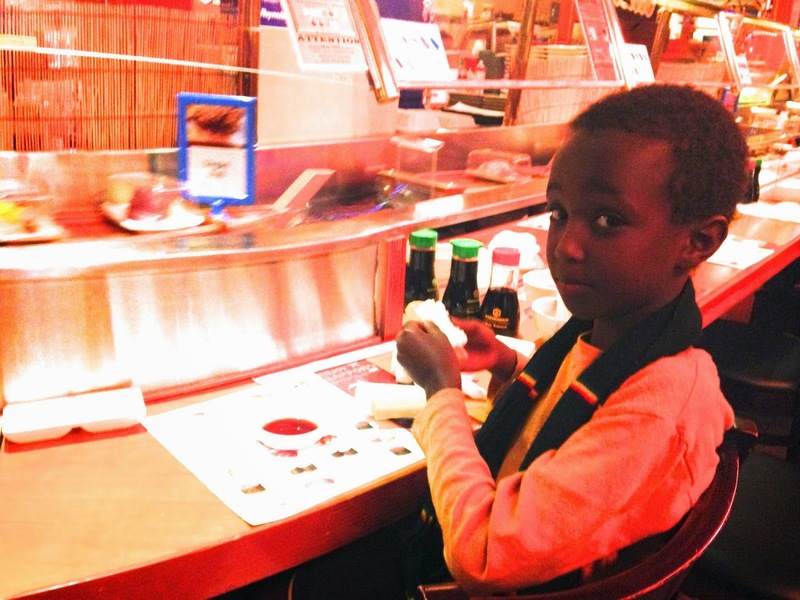 Our unorthodox meal of sushi and miso soup on Ethiopian New Year.